This again has already been done on my car, but to give you an idea, I went back and took photos. Remove the ash tray and take out the one screw. 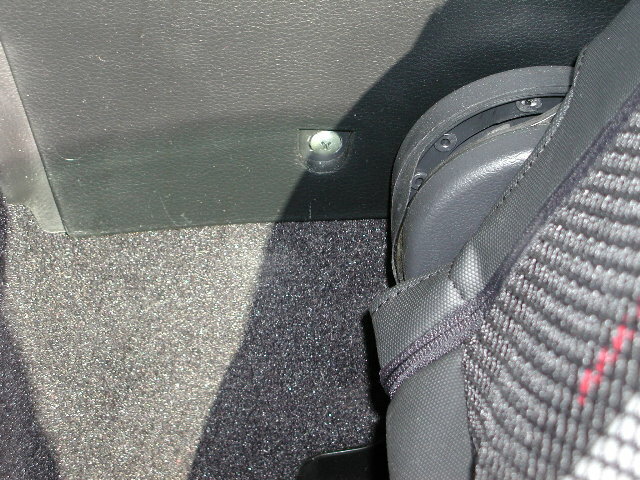 Pull both seats forward and remove the screw on either side of the console. 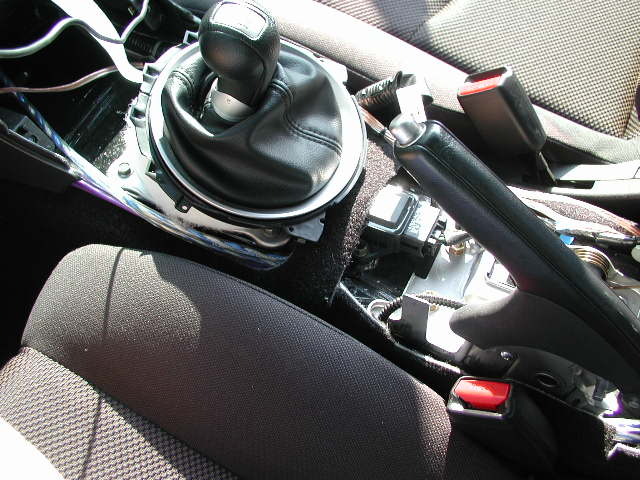 Remove the shift knob and the trim piece. This picture doesn't show it too well, but at the front of the console, there are two screws. Take them out. If the parking brake isn't up - make it happen. Now lift the back of the console up and to the rear. 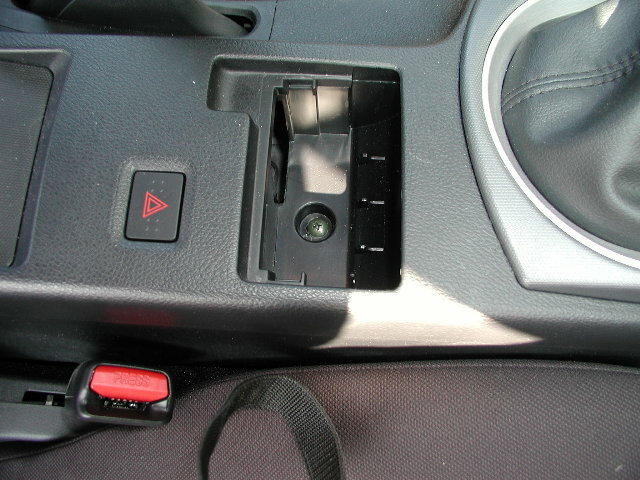 Then raise the front of the console up, clearing the rest of the dash. 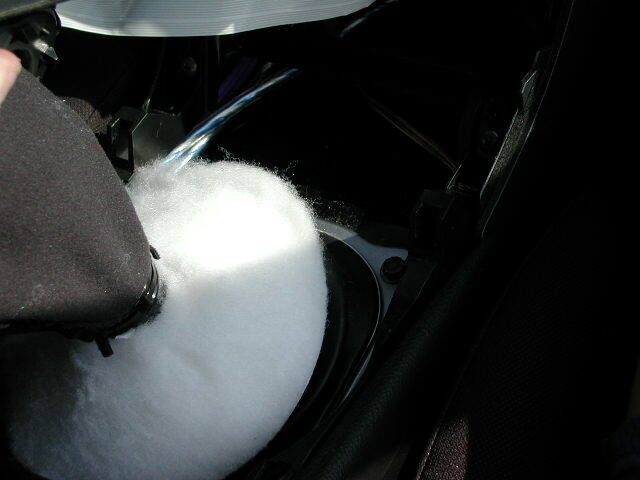 Now lift the rear part of the console to clear the parking brake. There will be a wiring harness attached to the console, unconnect and the console is out. 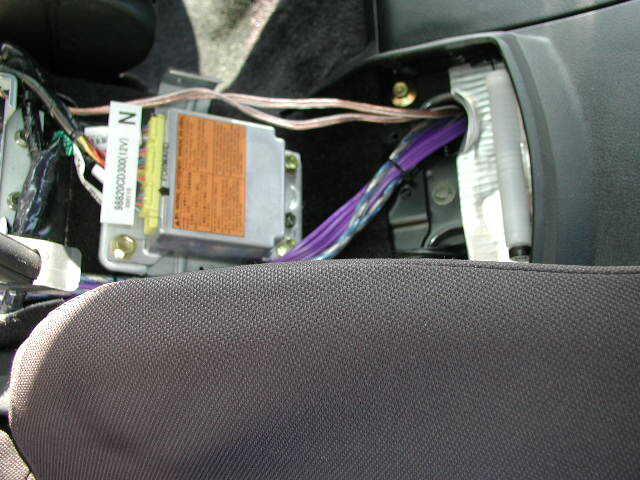 RCA and speaker wires coming from the glove box area. Notice, I have 2 RCA cables and 4 speaker wires - lots of room!! !